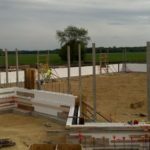 The small, 14,500 square foot project had a big impact on the Mekwaki Nation / Sac and Fox Tribe of the Mississippi and proves the value that ICFs offer to all projects of all sizes. 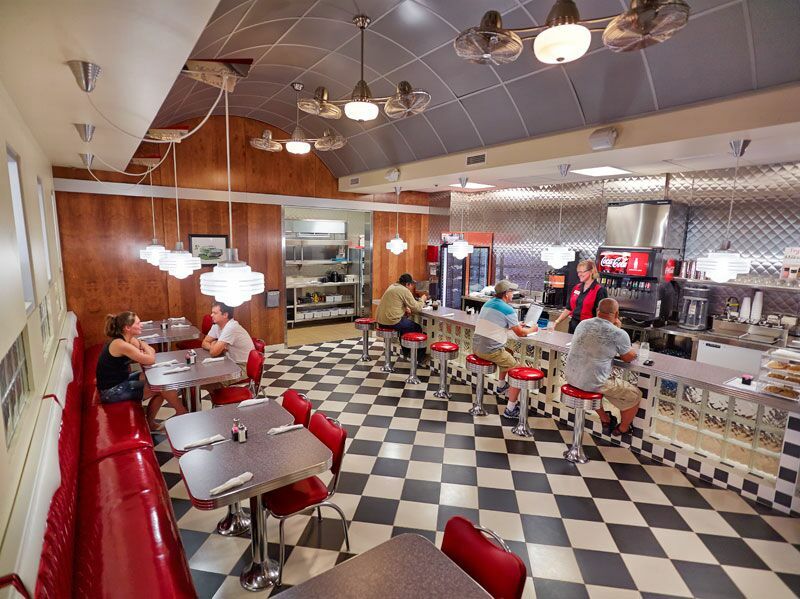 The Meskwaki Travel Plazais a full-service travel center includes a truckers’ lounge, laundry facility, showers, convenience store, smoke shop, and 50’s themed diner. The project, originally designed with CMU, was installed in less time and under budget while providing improved energy savings, reduced sound penetration from vehicles and required a less expensive, thin brick façade than originally planned. More than half of the concrete crew for this project were tribal members, hired and trained for this and future ICF projects. Persistent rains in the area caused “swamp like” site conditions posing a tremendous challenge to keeping the project on schedule. Normally rains and very wet soil conditions mean delays. Building with Fox Blocks allowed the crew to continue working despite the poor soils. 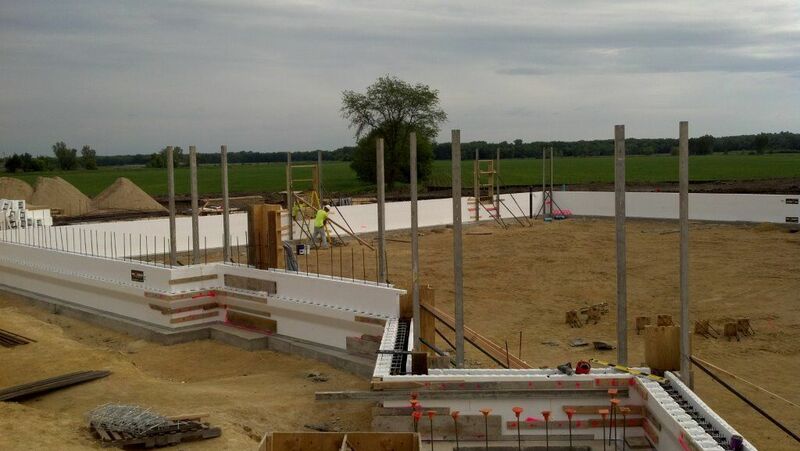 ICFs being light and easy to maneuver, allowed the crew to keep the project moving forward because they did not have to rely on large equipment getting around the site or haul large block around. 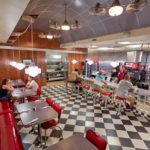 They were able to create a smaller work area and maintain efficiency. The Plaza also highlights the Tribe’s ongoing commitment to green construction.